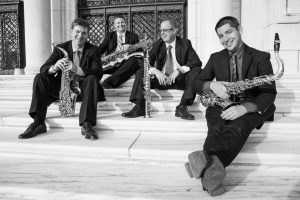 “The North American Saxophone Alliance (NASA) is a Non-profit organization comprised of performers, teachers, students, scholars, and enthusiasts of the saxophone. Evening: Opening Concert Featuring The University of Mississippi Wind Ensemble and Oxford High School Wind Ensemble with soloists. Gertrude Castellow Ford Center for the Performing Arts. 7:30pm. Reception to follow in the lobby. Evening: Concert Featuring the LOU Orchestra and Mississippian’s Jazz Ensemble with soloists. Gertrude Castellow Ford Center for the Performing Arts. 7:30pm. In addition to members of Region 6, we are excited to feature the following guest artists at this year’s conference. You must a member of NASA to participate in this conference. Click here to join. We would like to thank our Premium Sponsors for this event.